eScribe is a 100% Australian owned and operated firm and has been dedicated to providing professional online audio-video transcription services since 2004. eScribe also offers post produced web video closed captioning and descriptive transcription services to ensure our clients continue to receive a complete service. We guarantee total client satisfaction. Working with Vicki and the eScribe team is a real pleasure. Vicki provides a great service that is quick and professional, but more than that she has personally advised and helped to develop products specific for our needs which has been invaluable. It has been great to find a business that genuinely cares for its clients, and this shows in what eScribe do for us. 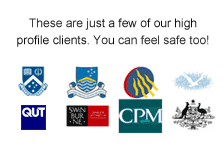 CPM Reviews is a Canberra based company with state offices that provides ethical and professional reviews of employment decisions and actions to the public sector and other organisations. We use eScribe’s services to transcribe recordings of interviews conducted during investigations, because security and confidentiality are critical in our operations. eScribe has consistently delivered to us a service of absolute integrity and high quality. 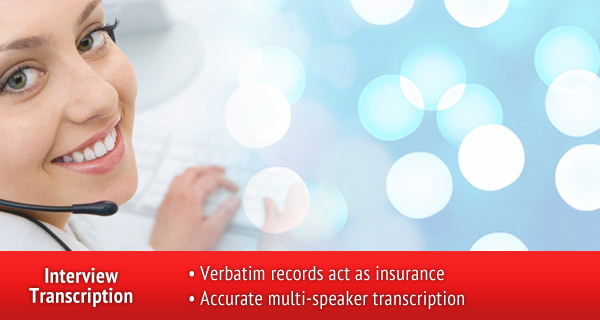 eScribe’s transcription services and product delivery has been excellent over the years we have worked with them. They have always proved to be efficient, accurate and reliable. Issues of confidentiality are particularly important to us and eScribe have satisfied us completely of their standards in that regard. 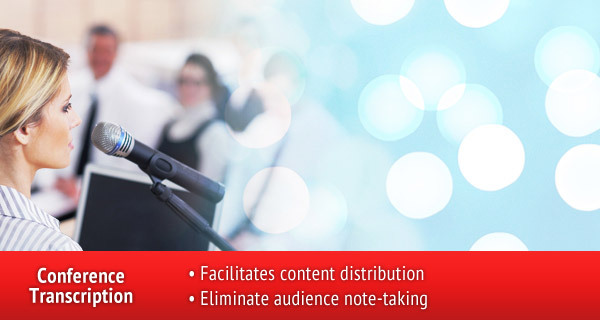 I would recommend eScribe Transcription & Captioning to other professional service firms. Vicki McLean of eScribe has been performing casual typing services for me in my practice as a barrister since 2004. Vicki McLean’s work is exceedingly reliable, well-executed and returned very promptly. I have always found it to be a fabulous service, and dealing with Vicki has been pleasant, easy and thoroughly professional. I recommend it to anyone without reservation. I found eScribe to be of immense value and Vicki McLean’s commitment to quality and punctuality top-notch. In an age where customer service is simply a term people like to say is important, Vicki McLean makes it apparent that actually providing customer service is what gives eScribe the edge over competitors. Always friendly, professional and willing to do what is necessary to produce timely results with as much ease to her clients as possible! We have used eScribe to transcribe interviews recorded for the production of our Growers’ Guide to Centre Pivots and Lateral Moves DVD and case studies for our on-line videos. We have found their systems and service extremely prompt, efficient and of excellent quality. This has greatly assisted us in delivering on our outputs. I have no hesitation in recommending the excellent service that they provide to their future clients. eScribe was recommended to me by a colleague as a highly professional service. We have since been using it regularly for some time now, to transcribe interviews we are doing for various research projects in Australia and overseas. We have found the standard of work to be exceptional. Many of our recordings are done in far from ideal settings, with lots of background noise, as well as with people who often speak quickly, in jargon or with heavy accents (or all three!). In all cases, eScribe has come through brilliantly! On top of that, the personal service is friendly and super-efficient. I would recommend eScribe to anyone, but especially prospective clients with difficult work to do. The transcription service provided by Vicki McLean and the eScribe team was prompt and of an excellent standard. Vicki provided immediate and ongoing support, making the upload/download process quick and easy. The transcripts were completed promptly and were of a high quality and accuracy, despite the sometimes poor quality of the recordings that we provided. Vicki’s friendly and professional manner made it a pleasure to use the service. We have recommended our agency to use eScribe again in the future. 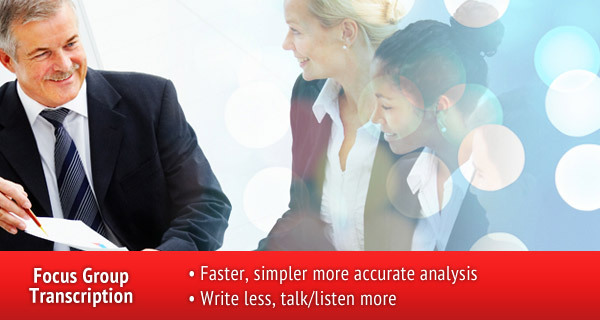 We use eScribe for transcription of workplace investigation Interviews. it certainly has made my life easier knowing I can easily upload a file and rely on eScribe to provide an efficient and professional service with high turnaround time. Above all, Vicki has a very personable and friendly approach and has always been so responsive and accommodating of our needs and issues. I am grateful for this level of service. it really is what makes a difference in my day.